The hardships faced by medics, staff, patients and relatives alike, hits home for Sarah as she reaches the end of her second elective week in Jinja. We’ve only spent two days in the hospital this week as we headed 6 hours across Uganda to go on safari today! However the two days were still just as interesting as last week. Monday was the first day in the hospital here that it hit me how hard things are here. I spent most of the day in the emergency room, which is a small, overcrowded, hot environment and the only place in the hospital with oxygen. What hit me most on Monday was that there was a two day old baby there who had been brought in after someone had found him in a garbage pile. I was able to hold him and feed him tiny amounts of sugar, as well as buy him some formula feed with some of the donated money (thank you! ), which the hospital were struggling to afford for him. I think this hit me more as the housekeeper where we are staying has adopted a 6 month old baby called Ruby who was also abandoned at the hospital – I can only hope this baby boy can be as well looked after and happy as Ruby is. I was also able to help out on Monday with giving other children medicines and putting up fluids – it was nice to be able to help out a busy area. It’s amazing how cheap antibiotics in particular appear to us, but how expensive they are for many parents to afford. One mother had travelled over 100km to get to the hospital to try and get treatment for her child – the desperation in most of these parents is hard to see. It’s been such an interesting time in the hospital, if tough to see at times. It’s now nice to have a few days break on safari until Saturday to refresh and do some tourist trips! However, as I write this I am already being bitten to death by mosquitos – thank goodness we can afford anti-malarials! 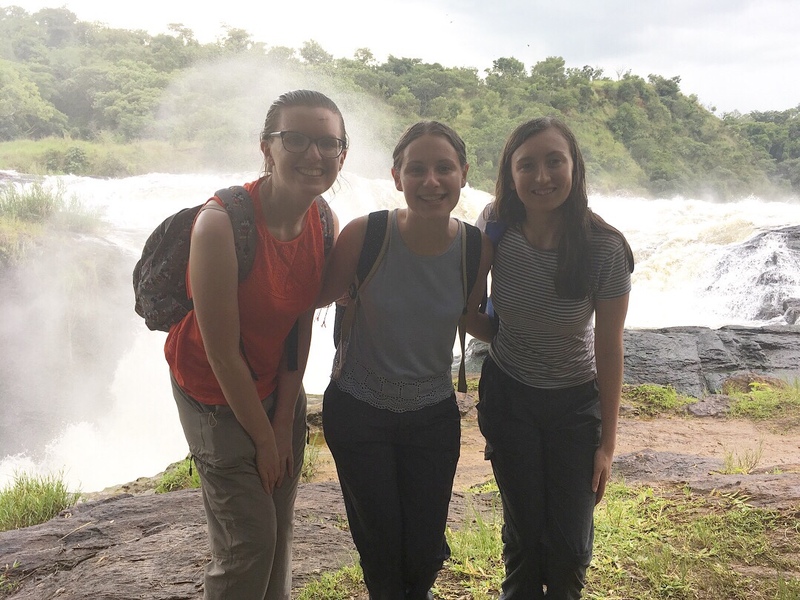 We made it through a 6 hour drive today to the top of Murchison Falls – impressive to say the least and certainly gave us a good soaking! Even driving through the National Park there were baboons aplenty, so we are very excited for the game drive tomorrow, even if it means getting up at 5am!